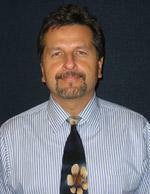 Barth Wolf joined the practice in 1987 after graduating from the Scholl college of Podiatric Medicine. Dr Wolf is a board certified foot surgeon and fellow of the American College of Foot and Ankle Surgeons. Barth and his wife Kim have four children Matt, Joe, Lexi, and Emmy. They are very active in their local church, and enjoy boating, fishing and golfing.